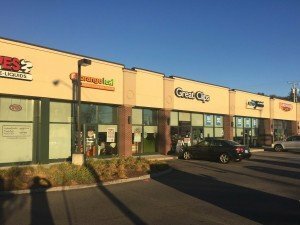 Boston, MA: EagleBridge Capital, working exclusively on behalf of its client, has arranged permanent mortgage financing in the amount of $8,800,000 for shopping centers located in Nashua, New Hampshire and Springfield, Massachusetts. The mortgage financing was arranged by EagleBridge principals Brian Sheehan and Ted Sidel who stated that the loan was provided by a leading national CMBS lender. The non-recourse, mortgage features an attractive fixed rate, 10 year term, and 30 year amortization. 341-348 Amherst Street in Nashua, New Hampshire, is a 29,935 square foot shopping center located on Route 101A near the Route 3 (Everett Turnpike) Interchange. The center is leased to 12 tenants including Five Guys, Orange Leaf, Great Clips, N.E. Auto Finance, Tilted Kilt, Orange Theory, and Cricket Communications. Located nearby is Somerset Plaza anchored by Market Basket, the Nashua Crown Plaza Hotel, and a number of retailers, restaurants, office buildings, and apartments. 473-479 Sumner Avenue in Springfield, Massachusetts, is a 21,150 square foot retail center located on Route 83. The tenants include Goodwill Shoppes, MercyCare (Mercy Hospital) which offers urgent non-emergency medical care, and International Mart, an Asian food grocery store. EagleBridge Capital is a Boston-based mortgage banking firm specializing in arranging debt and equity financing as well as joint ventures for shopping centers, industrial, office, and r & d buildings, free standing retail, apartments, hotels, condominiums and mixed use properties as well as special purpose buildings.